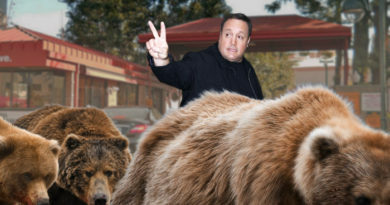 New reality show ‘Bear Tank’ puts entrepreneurs before a panel of bears who listen to their ideas then maul them to death. 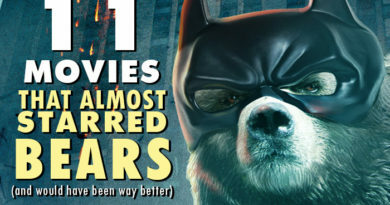 Bear Tank has been compared to other popular bear mauling reality shows like “Abearican Idol” and “Dancing With the Bears”. Both shows feature contestants who are regularly mauled by agitated Alaskan grizzly bears after giving their best performance, regardless of their talent. On Bear Tank, budding entrepreneurs come in with an idea for a product they need startup capital to get off the ground. 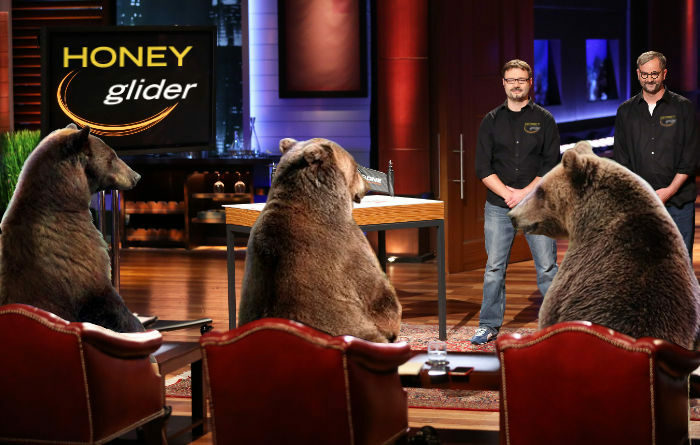 They present the idea to the panel of bears who listen patiently, then after the presentation is complete, the bears groan and growl at each other for a few moments then lunge from their chairs and rip the contestants to shreds. How many entrepreneurs have impressed the bears enough to get money rather than a good mauling? “None, so far,” said Alexington. “There have been some really inspiring moments, like the guys who created a device that helps legless chihuahuas walk and do flips, but those guys are dead now.” Even contestants who have tried to pander to the bears have been devoured, like Jason and Melvin Hardin, creators of the Honey Glider™, a hovering drone style device that harvests honey and delivers it right to your mouth on a constant basis. 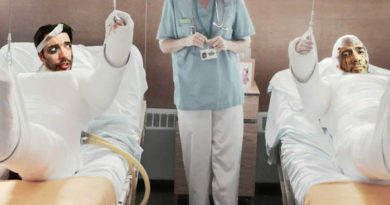 The bears kept the prototype after the two inventors’ remains were removed from the scene. Some say the decision to put contestants in such a dangerous situation is in bad taste. “The network wanted the panel of judges to possess a Simon Cowell level of brutality. After many, many considerations, a panel of grizzly bears just seemed the best choice.” The choice was money in the bank for show investors as Bear Tank has soared to the top of primetime ratings and won multiple Emmy awards including “most maulings in a season”. It appears this is only the beginning for bear reality TV. With the success of Bear Tank, more shows are in development including “Are You Smarter Than A Grizzly Bear?” and “Bear Intervention”. I have been a fellow BEAR and a friend to some humans for lo these many years. My daughter and grandson are BEARS, too. However, they often wonder about humans, thinking them somewhat boring and stupid. I tell them just to realize their limitations and remember that BEARS actually RULE the world. Anyway thanks for letting me ventilate. I’ll keep you informed of me and my family’s adventures.